Milton Albert Prekker was born on October 12, 1926 to Matthew and Cassie Prekker in Clara City, Minnesota. The oldest child and only son, he was followed by three sisters. In 1943, Milton married his high school sweetheart, Mary Suter, and their life together began. That same year, Milt enlisted in the US Navy and served two years on the Vella Gulf aircraft carrier in the Pacific. It wasn’t until his honorable discharge from the Navy in 1946, that he met his first son. Upon his return to the states, Milt attended watch making school in Kansas City, Missouri. The family lived in Fargo and Larimore, North Dakota, owning their own jewelry and watch repair shop as their family grew. In 1954, they moved to Owatonna, Minnesota while Milton worked for jeweler Arthur Vesterby and then Jostens, who would be his employer for the next 27 years. In 1962, Jostens moved the family to Santa Barbara, and they settled in Goleta in 1968. Upon “early retirement,” Milton began work at the Santa Barbara Research Center, where he was employed for another twelve years. Milt threw himself into his hobbies and interests wholeheartedly. He had a tamed pigeon as a boy and later kept and tamed other pigeons. During high school in Clara City, he was a basketball star and was a boxing champ in the Navy, winning two ribbons, and thus solidifying his lifelong love of the sport. Building and perfecting clocks, watches, cars and motorcycles, Milt could fix and build almost anything. His Catholic faith was strong, and he spent much of the 1970’s and 80’s in jail ministry and as a member of the Knights of Columbus. He enjoyed hiking in the mountains, and in his retirement years, had a passion for bowling. He was always the jokester, entertaining children with magic tricks, silly pranks and fun at his own expense, never others. Milt was always the one to make everyone smile. The family would like to thank Above All Care, the Friendship Center in Goleta, and Santa Barbara Hospice for their considerable assistance and support. Milton Prekker passed peacefully, surrounded by his family, and they are comforted in knowing that he is now reunited with his wife Mary. 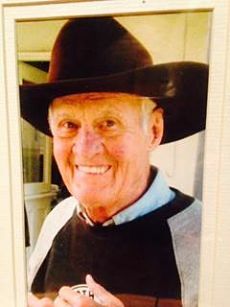 Milton Prekker is survived by his five children, Barry Prekker of West Hollywood, Debra McRoberts (John) of Goleta, Patty Peters of Encinitas, Daniel Prekker of Goleta, and Jeffrey Prekker (Chelsea) of San Diego; three grandchildren, David, Nathaniel and Elise. He also leaves his three sisters Joyce, Virgene and Sandra, as well as many other extended family and friends, especially Jerry Rutledge and Deborah Alliano, who were dear to him. His wife, Mary, predeceased him in April of this year. A mass in celebration of Milton’s life will be held at St. Raphael’s Catholic Church at 10 a.m. on Friday, November 13, 2015. A graveside service at Goleta Cemetery will follow. In lieu of flowers, please consider a donation to the Santa Barbara Humane Society or Return to Freedom Wild Horse Sanctuary.